Those who tend to leave planning for their trips up to the very last minute will find new iOS app Travel Butler very useful indeed. 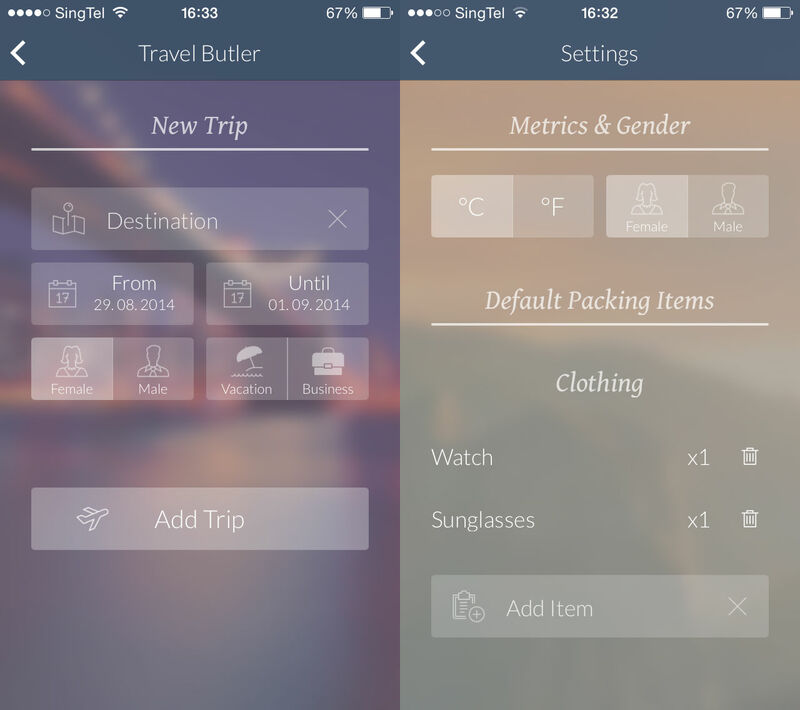 Travel Butler is primarily a packing list app based on the weather forecast, which generates items you need to bring and the quantity accordingly. This is very similar to popular app PackPoint, which also has the same function. However, Travel Butler also lets you personalize your packing — you can set the default items you want in your list each and every time. 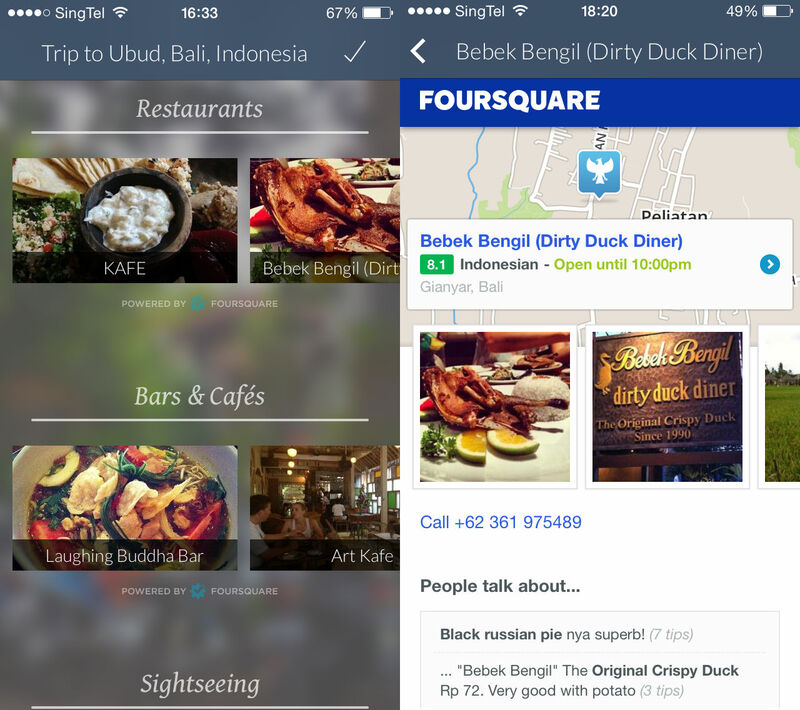 It also includes the recommendations of restaurants, cafes, bars and sightseeing points at your destination. Travel Butler is an extremely easy-to-use app. 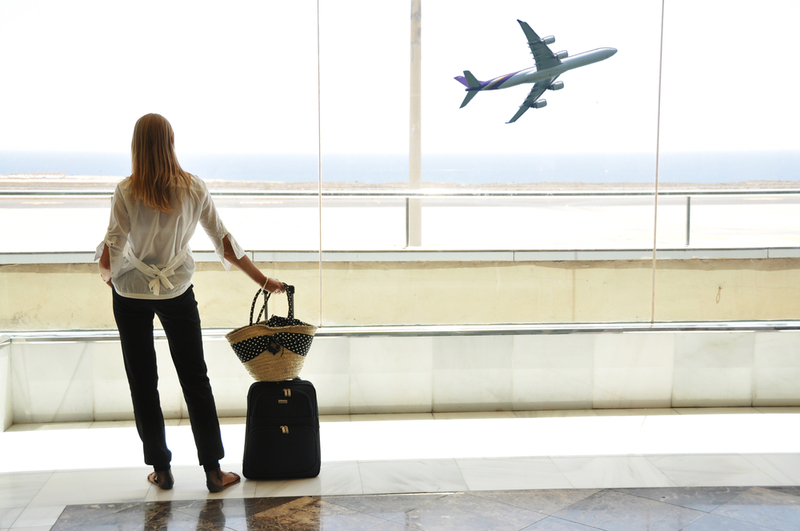 All you need to do is key in your destination, select the dates, as well as indicate your gender and whether the purpose of the trip is for vacation or business. However, to retrieve weather data provided by OpenWeatherMap for your packing list, you cannot plan too far ahead for your trip. I tested it out and it appears that the maximum forecast allowed would be 14 days, or two weeks before your trip. You will still get a basic packing list, but it won’t be tailored for your destination. The packing list includes several categories: clothing, documents, electronics, essentials (including toiletries) and sports. Tapping on the number indicated beside each item lets you change the default quantity, while it’s also easy to delete an item you may not want — just tap the trashbin icon. When you’ve packed the item into your luggage, tap the circle and a green tick will appear. What I found rather inconvenient is the lack of an option to edit your trip details — if you accidentally get the dates wrong, you have to delete the trip and start all over again. Otherwise, it is a very intuitive app. The addition of recommendations powered by Foursquare also helps to add to the value of this simple app — clicking on each suggestion will lead to a map and reviews. However, it would be better if I could save my preferred restaurants or sightseeing destinations into a list instead, so that I don’t have to keep scrolling to find what previously caught my eye. Travel Butler founder Sebastian Oehlschläger said that he also plans to integrate other services in the future like local activities and tours via firms such as GetYourGuide and Vayable, as well as transportation options including car rentals or car bookings from Uber, Lyft and Hailo among others.